Robin Ince's first new stand up show in three years is a clash of the two cultures, a joyous romp through his favourite artists and strangest scientific ideas. From the work of Stanley Spencer to Niels Bohr, itis 90 minutes fizzing with ideas about creativity in science and art, as well as asking why we believe we see what we see and why we believe what we believe. Robin will have just finished a 70 date, record breaking tourwith Brian Cox that concludes at Wembley Arena. “An evening so bursting with energy and ideas...it’s a bundleof fascinating, surprising digressions”...The Times review of most recent show- Blooming, Buzzing Confusion. Robin is the winner of a Sony Gold and Rose d'Or for theInfinite Monkey Cage and the Time Out Outstanding Contribution to Comedy, aswell as The Francis Crick Science Journalism Award and 3 Chortle awards. As seen on Mock The Week, Never Mind The Buzzcocks, The NowShow, The News Quiz and Loose Ends. 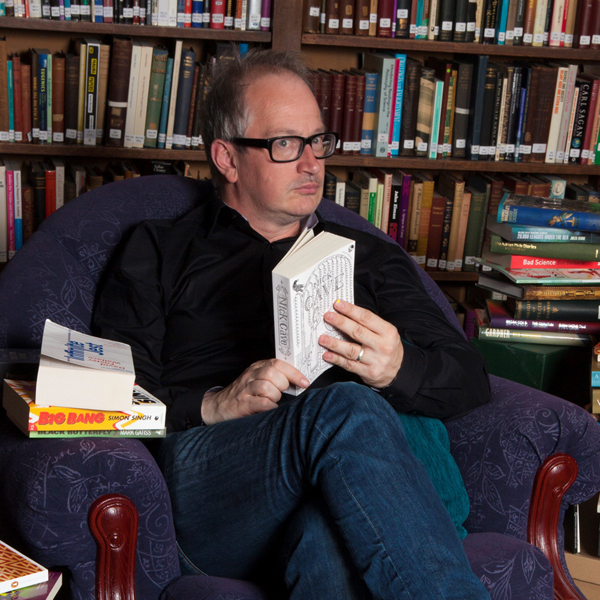 “When someone writes a history of modern comedy,they should make room for Robin Ince”...The Guardian.